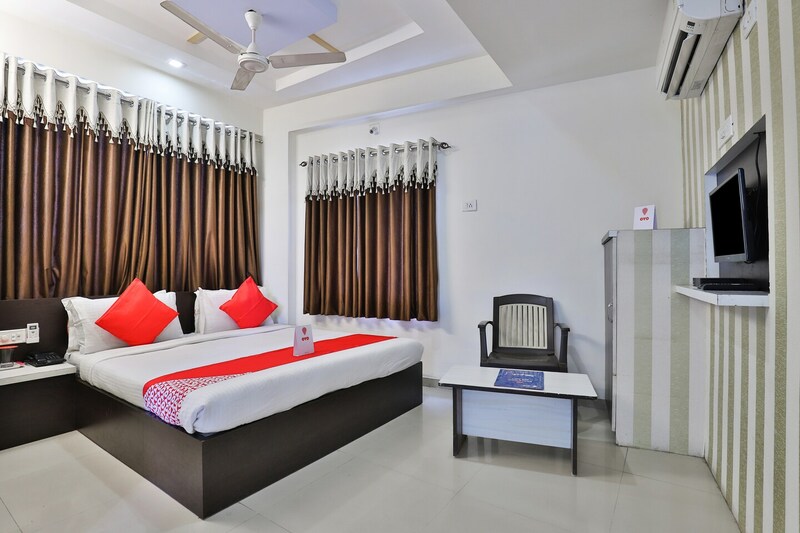 At proximity to Gurukul Bus Stop, Nand Appt AMTS Stop Bus Stop and Chandlofiya Railway Station is Hotel Sunstar in Ahmedabad which provide lively and comfortable stays. The well-equipped rooms with essential amenities are vibrant and full of spirits with attractive and unique wallpapers, royal curtains, wood work and bright. The bathrooms are also pretty and super clean and equipped with a geyser for chilly weather. Many other facilities like secured parking, free Wi-Fi connectivity that provides high-speed internet and card payment for cashless and hassle-free booking of your room are also provided. Tourists can explore Ahmedabad by visiting nearby attractions and enjoy a drive-in cinema, Vastraour Lake and an amusement park.